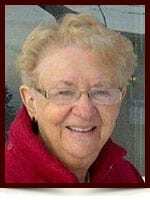 Helen B Wilson (nee Basaraba) - Edmonton's Burial & Cremation Professionals | Trinity Funeral Home Ltd.
On February 21, 2016, Helen B Wilson (nee Basaraba), passed away peacefully at the age of 85. Helen is survived by her son Daryl (Janice), granddaughters Paris and Destiny, grandson Ryker, sister Eunice (Rowland) Betty and extended family. Helen will always be fondly remembered for handling herself with dignity and poise as well as being a wonderful mother, grandmother and friend to all. At Helen’s request, cremation has taken place and a private family gathering will be held at a later date.